Welcome to the 72nd part of our Samsung Galaxy S3 Troubleshooting series. We’ve already addressed hundreds of emails from our readers who owned this phone, so we’ve pretty much covered everything. But since we still receive a lot of emails every day, we just can’t stop providing free support. Judging from the number of emails that are yet to be answered, I think this series will have 100 parts. So, stay tuned for more updates, solutions and troubleshooting guides! For those who have issues with their devices, feel free to email us at [email protected] or post on our Facebook and Google+ pages. We are determined to help our readers and we spend time reading the emails, researching on problems we don’t know yet and writing troubleshooting guides, so please, do your part and provide as much information as possible. The more info you provide, the easier for us to help you. Here are the problems I addressed in this post. Question: Hello, I have an S3 tracfone through straight talk. I am reasonably happy with it. I am fairly computer literate but not phone literate much. I am running into OS issues in that I have the 4.1.3 version and I am needing to upgrade to 4.4.4 kitkat. I am specifically looking to upgrade my Bluetooth version to enable me to use some fitness wear that is not compatible with my OS’s current version. I have not rooted my phone as of yet. Guess I am looking at getting a little more involved now..sigh. I have read what little I can find out there and I understand that straight talk does not update any of their phones because of their firmwear settings? So, I am not real confident on the info I am getting so far. If there is a way to just upgrade the Bluetooth I would be good for that..but I am also interested in a newer OS if it is possible. If you have any resources or links to others with reliable info to help me with this I would be very grateful for any. Maybe it is just not possible to do this cleanly? I just don’t know and I would hate to brick a phone on bad information. I did sign up for your newsletter. You appear to be a good find I stumbled upon. Thanks again for any info, Roger. Answer: Straight Talk may offer one of the cheapest no-contract plans in the country but when it comes to keeping their devices updated, don’t expect anything! The company just don’t roll out updates and it’s tech support won’t support firmware upgrades. So, I guess that answers your first question. Now, about your second questions, you can’t update just the Bluetooth version in your device. If there is an update for the Bluetooth, it must come with the firmware update as well. To sum it up, there is no way you will get the official update for your phone. If you really want your device updated, find someone in your area who knows how to root it and install a custom ROM. That’s the only solution I can offer for you considering the company that’s carrying your device. Troubleshooting: Hi Erin! Booting in safe mode or recovery mode won’t fix the problem. However, booting in recovery mode and wiping the cache partition from there may just fix this problem. Otherwise, I suggest you proceed with master reset, which is also accessible in recovery mode. Highlight ‘reboot system now’ and hit the Power key. 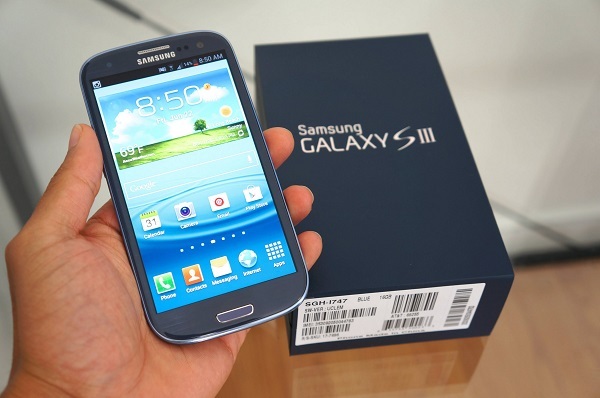 Problem: Hi there, I have a Samsung S3 i93905 and recently my phones service provider issued the KitKat 4.4.4 upgrade. Previously I was on 4.3. Now my phone only charges in the car if I use my Jabra cruiser .750mAh charger which is not powerful enough to keep up with the data connection being on to use sat nav and bluetooth for phone calls and the battery runs down. I have two different 1Amp chargers which only work intermittently now or not at all. The phone chargers normally from the mains and if you look in settings/battery it shows either A/C when charging on mains or USB if you are using Jabra car charger in car but just says not connected when using the 1amp car chargers. Samsung in the UK say that it must be a hardware issue and that it definitely is not a software issue but I find an arrogant and defensive answer as the internet has this same problem expressed on different forums but no intelligent answers. What say you please? Best wishes, Martin. Troubleshooting: Hey Martin! If this problem happened after the update, then it is obviously related to the new firmware. I don’t want you to go through useless troubleshooting procedures. I suggest you backup your data and perform full hard reset. If that won’t work, find someone in your area who knows how to reinstall the previous firmware version and stick with it. After all, Android 4.4 brought nothing but problems. Problem: Hi! I wonder if you can help me. Sometimes when i receive a normal text message and try to reply to it mobile is giving me: Mobile data is disabled. This message will be sent when mobile data is enabled. Solution: Hi Susan! The phone is actually telling you what the problem is–mobile data is disabled. To address this problem, enable mobile data. Refer to the steps below on how to enable it. Tap tick the checkbox next to Use Packet Data to enable it. I understand you were just trying to send a message but it seems like the message contained some characters that the phone sees as pictures. So, basically, the phone automatically converted the text message into an MMS or picture message and mobile data is required. But now that you’ve enabled mobile data, you will be able to send those messages. Problem: Hi! I was on your website earlier today. My Galaxy S3 just turned off by itself and managed to restore itself. I lost all my messages and some contacts and a few pics. Is there a way to restore my phone with all my old data. I am not sure if I backed up my phone. I got some stuff restored through Google, but there’s a few stuff missing. Let me know. Thanks, Nicholas. Troubleshooting: Some data can be restored but some can’t. Among the data that can easily be restored are those that can easily be synced with online accounts like contacts, calendars, photos, etc. But they can only be restored you’ve synced your phone with your online account prior to the reset. On the other hand, files and data that were saved in the phone’s internal storage will totally be wiped out during the reset. In other words, they will be deleted and there’s no way to restore them simply because there’s just nothing to restore, unless you made backups in your microSD card. The best way to know which of your data can be restored is to sync your phone with your online accounts. Now remove the phone number from the auto reject list. Problem: I have a Verizon Galaxy S3 running OS 4.4.2, I have checked the little box that allows USB debugging, and I have installed the Samsung driver on my computer, but my phone and laptop still won’t connect. Troubleshooting: More often, this problem is related to the drivers; either they weren’t installed or need to be updated. But the thing is, even if the drivers weren’t installed, the computer should still be able to detect a device being plugged in to one of the USB ports, although it couldn’t recognize it. If this is what happens, then remove the drivers from your computer and download a fresh copy from Samsung website. However, if the computer can’t detect the device, then it must be the USB port that has issues. Try to use another port. I also suggest you download Samsung KIES for your computer from the company’s website and install it as it contains all necessary and updated drivers for your device. Problem: I was wondering if this email was the correct place to ask questions about troubleshooting the device. When I run my phone doing something for some time (depending on what i do. When I’m playing games about 10~ min, longer if I’m browsing on chrome) my phone screen will just turn black. There’s still sign of some kind of lighting up (it feels like the screen is just displaying black not turned off). I know the device is not locked because the touchscreen still works. I just cannot see the display of it. The screen will come back when i press the home button, power button, or swipe from top of the screen to bottom for the notification menu. However, unless I let my phone sit locked without doing anything for about half of an hour, the problem will persist whenever I try to do something on the phone (more specifically touch the screen). I thought it had to do something with my phone overheating/too much RAM usage because I usually run into this issue when my phone gets hot (the bottom part). When I first ran into the issue my RAM was almost 1.4G so i thought that might have been the issue, but when i restarted my phone, deleted lots of apps and had it around 800mb and the problem was not solved. In summary, my phone screen turns black when I’m playing games / browsing internet when i touch the screen and try to move something (basically a swipe) and comes back when I press home/power button only to have it go black again when I touch the screen again. Troubleshooting: I’ve seen a lot of variations to this problem because it can be caused by either an app, the firmware or the hardware. If the screen turns black because of an app or a glitch in the firmware, it can easily be fixed, however, if it were a hardware issue, then you really have to send the phone in to be checked by a technician. The challenge is how to know what caused it. Of course, being the owner of the phone, you should be the first one to notice if the issue occurs when you open certain apps. In this case, it is obviously an app problem. For third-party apps, you can simply disable or even uninstall them. To further verify it, boot your phone in safe mode and see if the screen will still turn black. For firmware issue, there’s no other effective troubleshooting procedure except hard reset. You would know it’s the case if the problem still happens even if the phone is in safe mode. I understand the hassle of backing up every bit of data in your phone but it’s necessary. Thank you for providing the details, Derek. Problem: Hello, I’m hoping you might be able to help me. I have a Galaxy S3, and it has been working fine…I never have dropped it or anything. The other day, it just stopped working…I get a box that comes up and says…something that the droid.processor isn’t responding, then it shuts down and keeps restarting over and over. I can usually get through the unlock screen, but as soon as I touch an app, or try to open my settings. It shuts down again. and restarts…it does this over and over. Does this sound like anything you have ran into before? Thank you, Barb. Troubleshooting: Hey Barb! If the problem suddenly occurred without apparent reason, then it could be just a temporary glitch in the system or hardware. Try the soft reset first; while the phone is on, remove the battery and then press and hold the Power key for a minute. Place the battery back in and turn it on. Try to see if the error message still pops up. If so, then something messed up the system. The question is, have you recently downloaded an app? If yes, then uninstalling it may just fix this issue but the problem is, the system crashes every time you open Settings. So, boot the phone in safe mode and try to open Settings from there. If you’re successful in doing that, then find the app and uninstall it. Otherwise, there’s no other option but to factory reset the phone. Problem: Let me start off with telling you how this started. When those problems started to come, the first problem was pretty random. When I had <70% left of the battery, and I opened an app, the screen started to “vibrate” and suddenly the phone shut down. When I started it again, it said that there was only 1% of the battery left, and it shut down again. When I plug it into a charger, and started it again, the phone told me that it had between 30 and 50 percent of battery left.. Yay! Now to this problem: A couple of days ago, the phone did exactly as I wrote above, but with the difference that it didn’t start up again, at all. When I started the phone, I got to the moment where the Samsung logo appears on the screen, and then it just stayed there. I tried to reboot the phone, but still the same problem. I also tried the factory reset, wipe cache etc, but it didn’t work. Then I searched on Google and Youtube, and saw someone who connected the phone to a computer, and then removed something using Odin. I did that, and FINALLY the phone started. Of course I was pretty happy with this. But then I realized.. The phone can’t find the SIM-card,. Troubleshooting: Thanks for providing us all those details and I’m glad you were able to fix those issues by yourself. For firmware-related issues, the reflashing of the firmware through ODIN often works. Now about the other problem, I’m not really sure if you’re getting the No SIM card or Insert SIM card error message or the phone simply can’t get good coverage. But anyway, if the device has a hard time detecting the SIM card, then try to visit this post as I’ve outlined a troubleshooting procedure for this specific problem. In case the problem persists, call your provider and have the SIM card replaced. However, if the phone says it’s not registered to network or something like that, then the IMEI may have been changed or deleted during the reflashing of the firmware. Just reinstall the firmware based on the model of your phone using Odin.